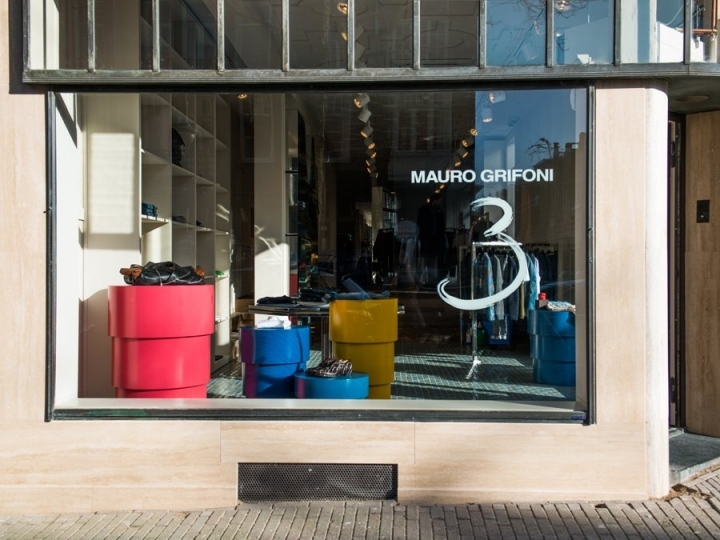 This month, Mauro Grifoni shop opened his first international store, after five stores in his homeland, located only two blocks away from the Frame office in Amsterdam. 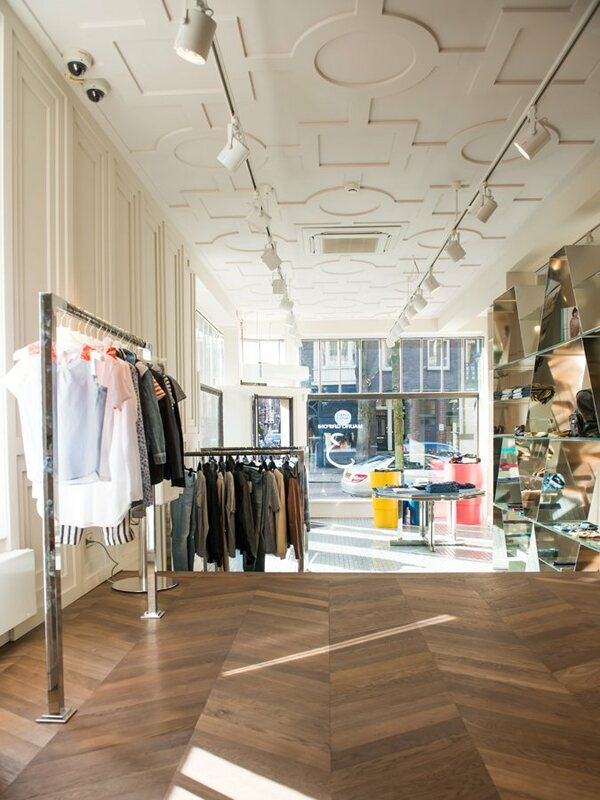 On an initiative of Aebe and Carlo Ferilli, the shop is the third high-end shop to settle on Cornelis Schuystraat in Amsterdam South. 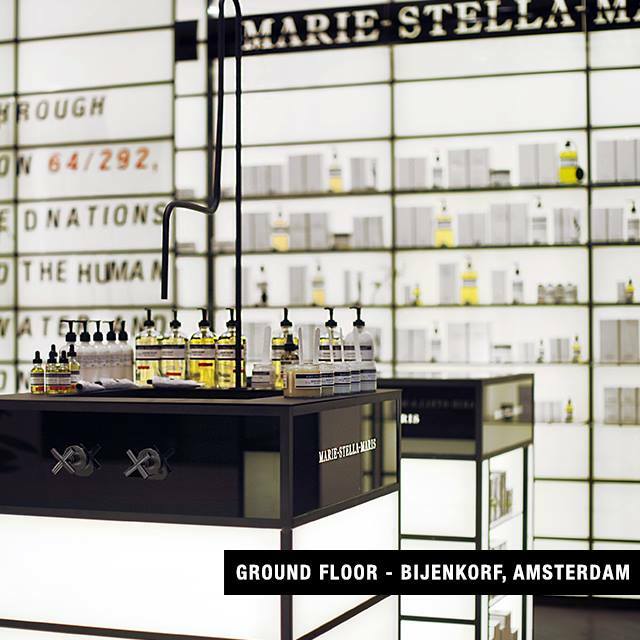 Called 3. 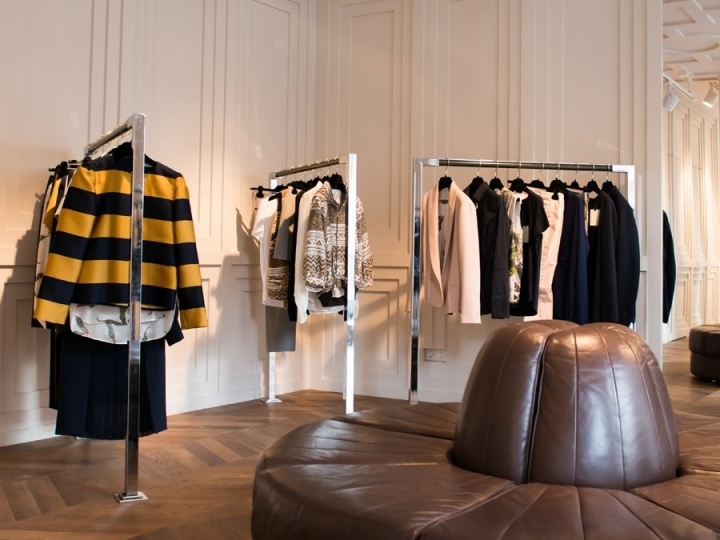 Mauro Grifoni, the interior was designed in collaboration with local architects office Framework Architects. 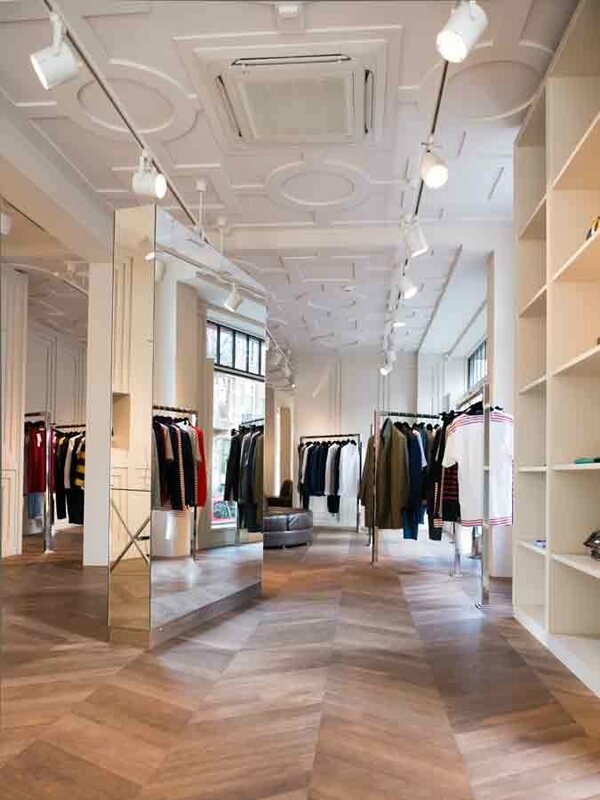 They designed a quiet, serene store that has the feel of an elegant apartment in Paris, with panelling on all of the walls and ceiling. 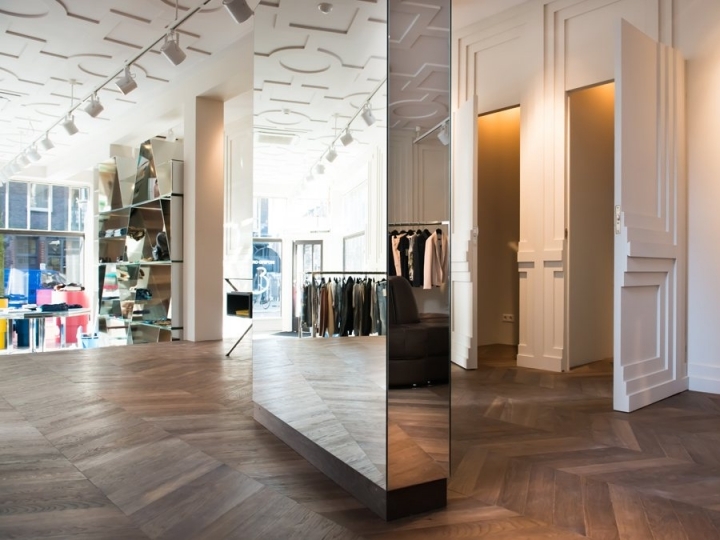 In the front of the store, the floor is covered with glazed brick, a smart transition from the pavement to the fishbone parquet that covers the floor in the rest of the shop. 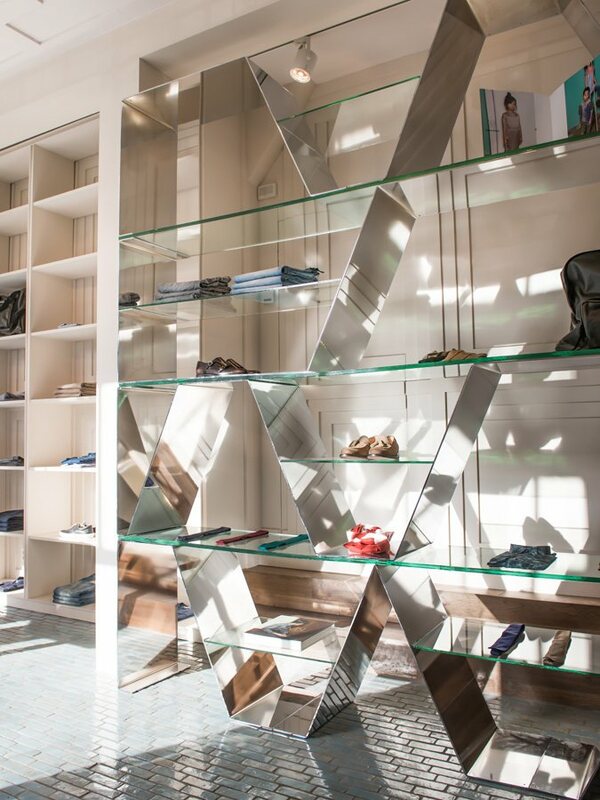 Extraordinary secret doors open to staircases and changing rooms, and the chrome displays, cabinets, the ornaments and tiles were all specially manufactured by Framework Architects.